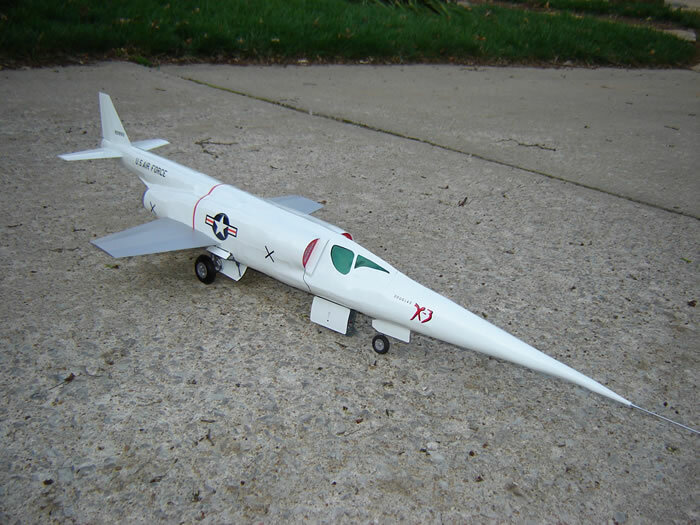 This is my 1:18 scale scratch built X-3. 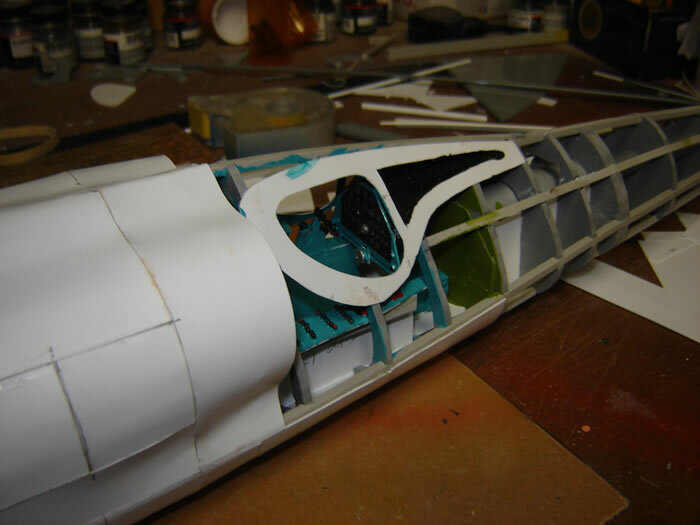 It has the normal bulkhead / stringer fuselage construction covered with thin plastic sheet. 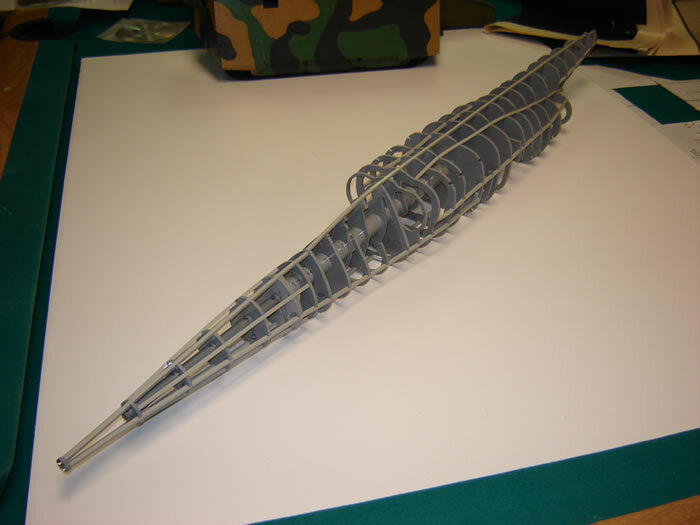 Wings and tail surfaces are hexagonal airfoil as the real aircraft. 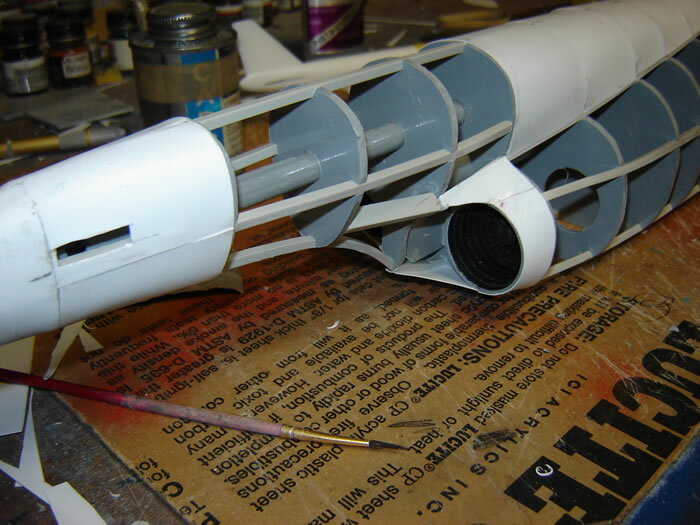 Engine exhausts are 1:32 scale Tomcat which scaled out perfect. The cockpit has all instrumentation, controls, circuit breaker switches that the original X-3 had. 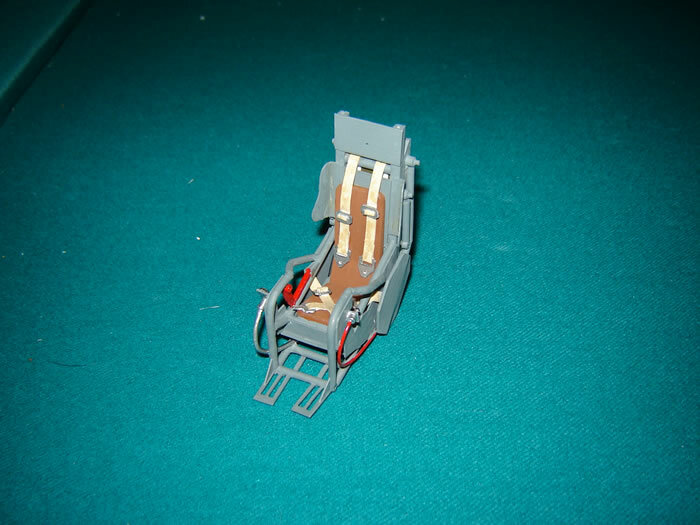 The scratch built downward firing ejecting seat is shown in its lowered position for pilot entry. The seat features guide wings, seat parachute pack, oxygen cylinder, oxygen instrumentation, raising and lowering controls, seat restraints, seat cushions, and guide rails. The markings are from its early life when still under the USAF flight testing program. Two X-3’s airframes were contracted, only one was completed for testing. 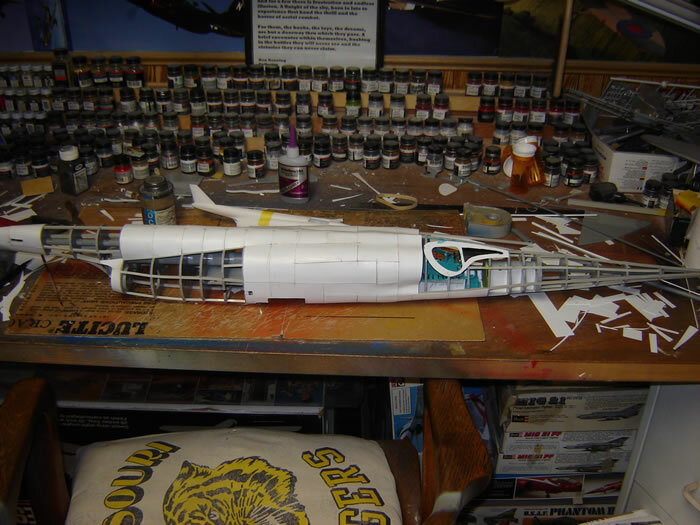 The other was used for spares during flight testing. The X-3 survived several years of testing from it’s first flight in October of 1952 to it’s last flight in May of 1956. It was flown a total of 51 times. The X-3 now is restored and resides in the U.S. Air Force Museum. 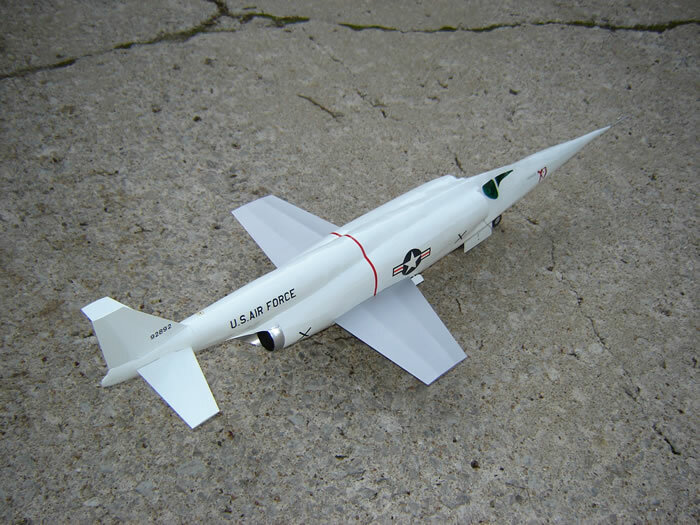 The X-3 failed in obtaining the speeds it was designed for, due to the lack of engine performance. It only reached mach 1.2 in a 30 degree dive, but it proved itself by investigating and solving the mystery of the roll inertia coupling phenomenon.